Dive deep into the virtual world of social media with a mystery-thriller for the digital age, Searching, debuting on Digital and redeemable via the Movies Anywhere App. on November 13, coming to Blu-ray™ and DVD November 27 from Sony Pictures Home Entertainment. A unique take on society's pervasive use of technology, Searching is the feature film debut for writer-director Aneesh Chaganty, and writer-producer Sev Ohanian. Chaganty and Ohanian's script constructs a new form of cinema inspired by the connection between parent and child in the Internet age. 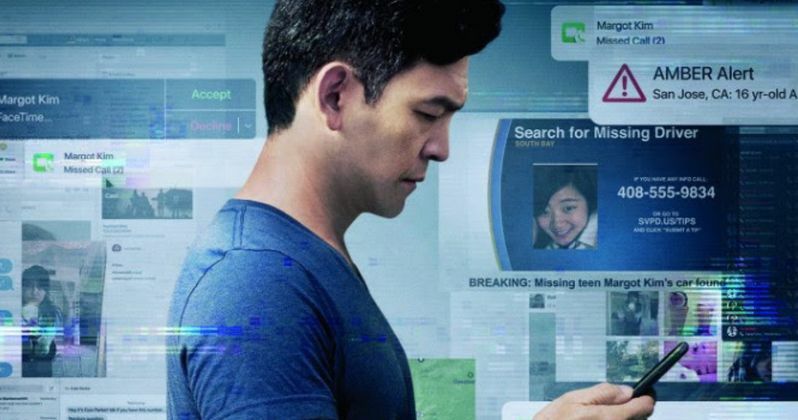 Stopping at no lengths to find his missing daughter, a determined father, played by John Cho (Star Trek, Harold & Kumar), explores her social media accounts, emails, pictures, videos and more to aid in the police investigation. Cho is joined by an impressive cast including Emmy Award® winner Debra Messing ("Will & Grace"), Joseph Lee ("NCIS: Los Angeles") and Michelle La in her feature film debut. Since winning the audience award and the Alfred P. Slogan Feature Film Prize at its Sundance debut, Searching has riveted audiences and critics alike, with a 93% Certified Fresh score, and critics calling it a "groundbreaking" (Den of Geek, The Wrap) film in the vein of classic Hitchcock thrillers ("Hitchcock levels of suspense" CNET). Expertly blending innovative storytelling and modern technology, Chaganty has crafted an enthralling missing person story bookended by an endearing opening sequence and stunning conclusion. Keep your eyes peeled for clues that lead to the movie's shocking finale and don't blink if you want to uncover additional subplots to unravel those hidden mysteries within the Blu-ray™, DVD and Digital bonus features. The Searching Blu-ray™, DVD and Digital bonus features uncovers this innovative storytelling through the commentary of the director and three exclusive behind-the scenes featurettes. Explore the creative process of producing a film told entirely on the screens we use every day in "Changing The Language Of Cinema". Delve into the film's challenging cinematography in "Update Username: Cast And Characters", featuring interviews with the cast and the filmmakers. Finally, in "Searching For Easter Eggs", where filmmaking duo, Chaganty and Ohanian reveal the compelling "blink and you missed it" Easter Eggs hidden in the ancillary screen space throughout the film. • "Changing The Language Of Cinema"
• "Update Username: Cast and Characters"
• "Searching For Easter Eggs"
• "Audio Commentary with Aneesh Chaganty & Sev Ohanian"
Coming from Sony Home Entertainment, Searching has a run time of approximately 102 minutes and is rated PG-13 for strong violence, bloody images, and language. Check out the cover art.